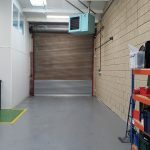 Unit 29, 3, Blick Road, Heathcote Industrial Estate Warwick CV34 6TA ~ LET IT ! 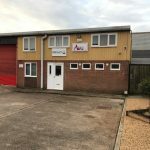 Situated on the established Heathcote Industrial Estate, off Heathcote Way, located close to Warwick and Leamington Spa. The M40 is about a mile to the south east of the estate at Junction 14. 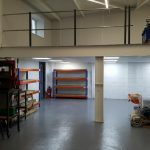 Comprising a single storey end terraced workshop of about 1,870 sq ft plus 893 sq ft of mezzanine space of cavity brick and block wall construction with concrete floor. 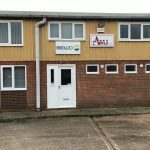 Partitioned to provide a Loading bay with mezzanine storage and three offices plus ground floor reception and kitchenette plus disabled toilet. 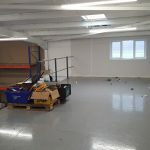 Having lined dual pitched, roof, with translucent panels, with LED lighting. 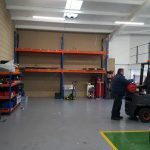 Min eaves height of 4.8m ignoring mezzanine floor. Four car parking spaces min. New Gas fired Powrmatic heater. be applicable, currently £ 2,080 pa payable. 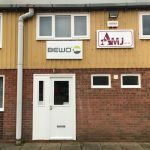 To be let on a new, six year effective full repairing and insuring lease at £ 18,500 pa, subject to 3 yearly upward only review by reference to RPI increases if any, with the ingoing lessee to be responsible for the lessors reasonable legal costs. EPC RATING : 76 ( Band D ) ~ further details available upon request. VIEWING: Viewing by appointment with the agents.